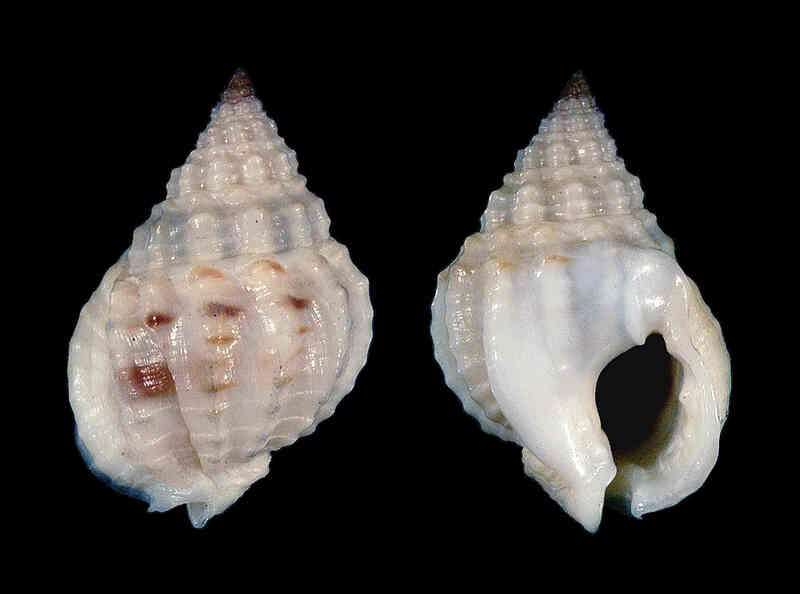 Shell size to 15 mm; size small, stubby, thick-walled, with about five-seven shouldered whorls. Spire moderately elevated. Sculpture of 7-12 axial ribs crossed by cordlets of variable size. Color white or light tan, variably mottled with darker tones. This is a very variable species, common in the back bays and mud flats of SW Florida. Individuals in this species are active scavengers, feeding on decaying bodies of invertebrates, fish, and other marine vertebrates. 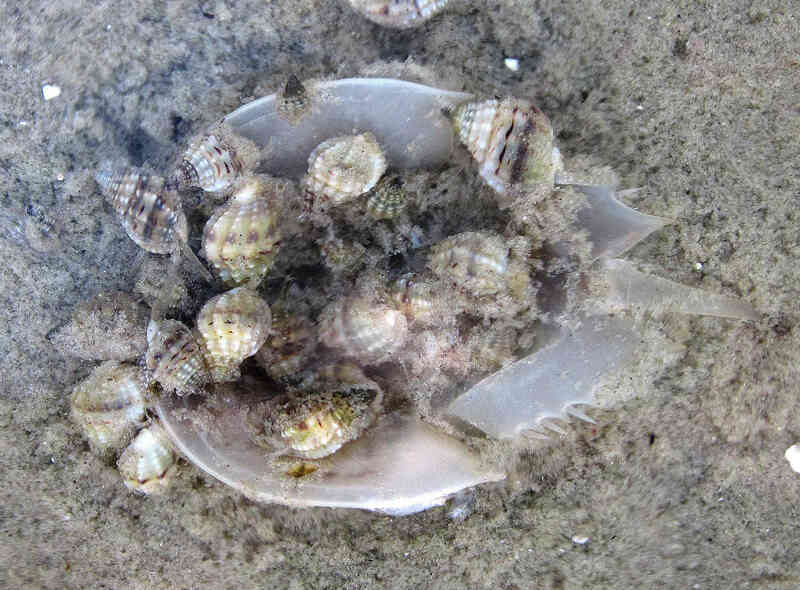 The supplementary image of several bruised nassa feeding on a small, dead horseshoe crab was taken by José H. Leal at low tide on Bunche Beach, Lee County, Florida, in 2014.